Recently Andy Rubin said that Google is going to double down on tablets in 2012. While Rubin failed to elaborate on what he meant by double down, we can only assume that Rubin recognizes the truth: Android tablets have failed in the market. According to Google’s own numbers there are 12 million Android tablets in the market to date, versus Apple selling 3 million iPads over the launch weekend of the new iPad. The reasons for Android’s failure (compared to Apple) in the tablet space is twofold: operating system and applications. I’ve written about this before, but I’ll say it again: Android is a mess on tablets. It is definitely faster on Ice Cream Sandwich compared to Honeycomb, but that doesn’t change the fact that the whole homescreen UI is jumbled and fragmented. Having the app drawer, search, navigation, and notifications/quick settings in four different corners is much less accessible than it could be. Sure, a tablet offers more real estate than a phone, but that doesn’t mean that the UI should be spread all over the screen. Apps are a whole different mess. 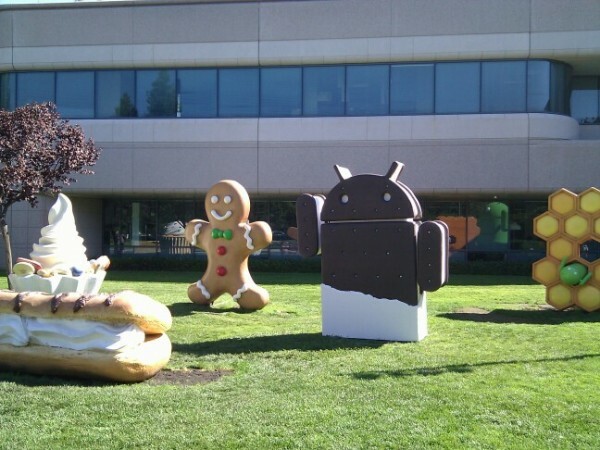 For some reason Google has been unable to draw major developers over to ICS. That’s an even more massive problem than a sub par UI. Part of the problem is undoubtedly that Google has not paved the way for app developers by demonstrating what Android is capable of with their own apps. It took a year for Google to release a tablet optimized version of Docs. Google Listen still isn’t optimized. If Google doesn’t show app developers what Android can do, they won’t be as motivated to create daring, compelling apps. Apple has done this for years. They make their own applications to set the standard of what an iOS app should be like and developers follow their example. Without the apps that users want, users will be far more likely to get an iPad or settle for a Kindle Fire. Perhaps a $200 Nexus tablet will destroy the argument to get a Fire, but it won’t deal with the argument to get an iPad. Let’s be clear: Google doesn’t need to worry about Amazon (at least not yet). Amazon is losing money on every Fire sold and trying to make up for it in services. Google could pursue the same strategy and make up for it in advertisements on their services, but there is no way Google could make a tablet that matches the Fire in price and the iPad in specs. Besides, business and power users (or people who spend money) are choosing the iPad far more often than they are choosing the Fire. Recently we asked you, our readers, why you would choose an ASUS Transformer Prime over a new iPad. I saw a few good comments (for example, some people like ASUS’ hardware options more than Apple’s, especially the keyboard dock), but overall the comments were either people saying that they simply don’t like Apple products or that Apple’s ecosystem is closed and therefore inferior. I don’t mind if someone says that they don’t like Apple’s products; I can understand that. It does bother me, however, when someone says that Apple’s ecosystem is inferior because it isn’t open like Google’s. Real world experience demonstrates the exact opposite: despite being closed, Apple’s ecosystem is far superior to Android. iOS not only has more apps, in most cases it has superior tablet apps. Being open may mean that you potentially have more choice in terms of what you can and cannot install, but when you compare iOS and Android in terms of tablet apps, iOS dominates. People often ask me why I write for Droid Life. They read my articles that are critical of Google and assume that I must not like Android. They’re right, I don’t like Android on tablets. I’d love to recommend an Android tablet to someone, but right now the OS and the apps are not competitive with the iPad. I’m critical of Google and their strategy because I don’t want a monopoly. I want to see competition and innovation. The only way for Google to enter a market dominated by Apple and truly compete with them is to offer a superior product. That means a better OS and better apps. Amazon’s Kindle Fire may pose a threat in the lower end of the market, but that is not where true innovation happens and that’s not where anyone is making money. Success for Google doesn’t mean taking out the Fire, it means competing with the iPad. For better or worse, tablets are a part of the future. If Google wants to be in that future, they need to make a better product and ensure that their ecosystem has the best apps available. I don’t know what Google’s plans are, but if doubling down means anything other than take down the iPad, Google should change their plans. Verizon's Family Data Usage Calculator Spotted, Plans Almost Upon Us?